This is a Thursday Night Football Betting Preview for Cardinals vs. 49ers. The Arizona Cardinals headed into the season as a Super Bowl contender, but a 1-3 start to the season has the team in full panic mode after a home loss to the Rams in Week 4. They’ll face NFC West rivals the San Francisco 49ers who enter the game with an identical record after losing three straight games since shutting out the Rams in the season opener. The Cardinals opened as a 2.5-point favorite, but you now have to lay a field goal plus the hook with nearly two thirds of the wagers coming in on the visitors. The total has dropped half a point from the opener of 42.5. Read more in this Thursday Night Football Betting Preview for October 5, 2016. Carson Palmer has been ruled out for this contest with a concussion and won’t even travel to San Francisco. Backup quarterback Drew Stanton will lead the Cardinals’ offense instead, looking to improve drastically from a a 17-13 setback to Los Angeles on Sunday when he completed just 4-of-11 passes after replacing the injured Palmer. Arizona’s defense allowed LA only 288 yardage and 12 first downs, but it commited five turnovers which cost it the game. The Cardinals have won just one of their last five Thursday night games and they’re 1-5 ATS in those games. San Francisco has an identical 1-5 ATS record in its last six games on Thursday Night Football, and it suffered another defeat on primetime when it fell 24-17 at Dallas Sunday night. The Niners took down the Rams 28-0 in Week 1, but they’ve been outgained by at least 137 yards in three straight defeats since. Defense has been the main issue as Chip Kelly’s men has been shredded to the tune of 458.3 yards and 35.7 points per contest during its three-game losing streak. The teams played twice in 2015, with Arizona winning 47-7 at home on Sept. 27 and 19-13 at San Francisco two months later. The Cardinals were favored by roughly seven points in both games. Cardinals are 12-2 ATS in their last 14 road games vs. a team with a losing home record. Cardinals are 1-4 ATS in their last 5 games in October. 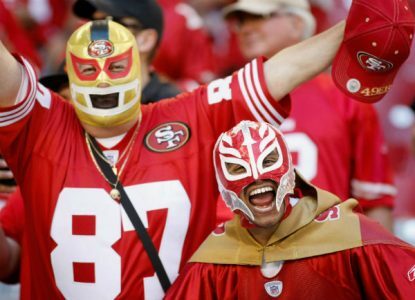 49ers are 2-5 ATS in their last 7 home games vs. a team with a losing road record. 49ers are 15-6 ATS in their last 21 games in October. Under is 9-3 in Cardinals last 12 games overall. Under is 4-0 in Cardinals last 4 games following a straight up loss. Under is 8-1 in 49ers last 9 Thursday games. Under is 5-1 in 49ers last 6 home games vs. a team with a losing road record.